For the majority of Americans who are struggling to juggle a myriad of family and work-related obligations, time has become an increasingly rare and valuable commodity. Nowhere is this more apparent than in the cosmetic enhancement field, as evidenced by the noteworthy increase in the number of non-surgical skin rejuvenation procedures performed over the last two years. 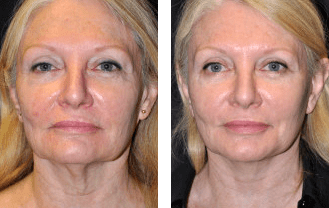 The liquid facelift is an example of an innovative procedure developed in response to the intense demand for non-surgical aesthetic enhancement options that would help patients conveniently and cost-effectively achieve a dramatic improvement in their facial appearance. Liquid facelifts harness the volume-enhancing abilities of second generation advanced dermal fillers (i.e. Radiesse ™, Restylane™, Sculptra, JUVÉDERM, and JUVÉDERM VOLUMA™ XC) with the wrinkle-reducing power of BOTOX® or Dysport®, in order to create a powerful rejuvenation of the entire face without the anesthesia, extended recovery period, or invasive surgical techniques required during a traditional facelift. At Moelleken Plastic Surgery, with office locations in Beverly Hills and Santa Barbara, CA, Dr. Moelleken understands the anatomy, the science, and the art behind the aging process, and he custom tailors every liquid facelift to fulfill the specific aesthetic needs and goals of his patients. The Liquid Facelift is much more than the simple application of fillers. Rather, it requires three-dimensional sculpting based upon a profound knowledge of the underlying facial anatomy, blood vessels and nerves. To perform these procedures without firsthand knowledge of facial anatomy invites trouble. Complications such as embolic events or nerve damage can be avoided by knowing what structures are concealed beneath the skin, invisible to the naked (or untrained) eye. Only surgeons see the anatomy from below on a daily basis. As a noted plastic surgeon, Dr. Moelleken performs complex cosmetic plastic surgeries of the face such as the 360 Facelift™, the USIC™ cheek lift, and LiveFill™. Using the same artistic techniques that he utilizes during his cosmetic surgery procedures, Dr. Moelleken fills the face three dimensionally. Dr. Moelleken makes it a point to perform this treatment himself, rather than delegating it. 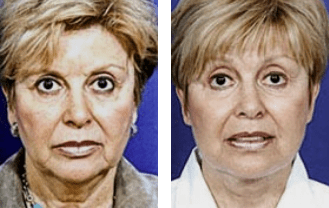 Far too often patients who have had Liquid Facelifts elsewhere are left with a wooden or plastic appearance that results from excessive filler in some areas, not enough in others. The average liquid facelift utilizes approximately 8 syringes of different fillers, and after the initial swelling subsides, patients can expect significant improvements in their facial appearance that can last about 1 year, depending upon the specific combination of fillers, the facial area(s) treated, and the rate at which the patient metabolizes the injected materials. Although liquid facelifts are non-invasive procedures, the improper administration of dermal injectables can lead to a number of aesthetic problems (i.e. infection, hematoma, shiny forehead, unnatural appearance). It is highly advisable to have your liquid facelift performed by an experienced plastic surgeon with in-depth knowledge of the delicate facial structures, anatomy and skin composition, such as Dr. Brent Moelleken. In Dr. Moelleken’s capable care, you will be able to safely achieve a natural, youthful, and subtly refreshed facial appearance that will garner countless compliments without giving the appearance that you had any “work done.” If you are interested in learning more about the liquid facelift options offered at Moelleken Plastic Surgery, please contact our office today. We look forward to speaking with you, and to scheduling your initial consultation with Dr. Moelleken.